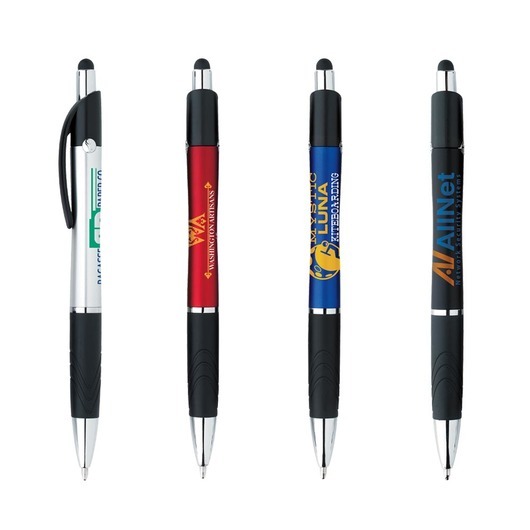 Bic Emblem Stylus pens with your printed logo. 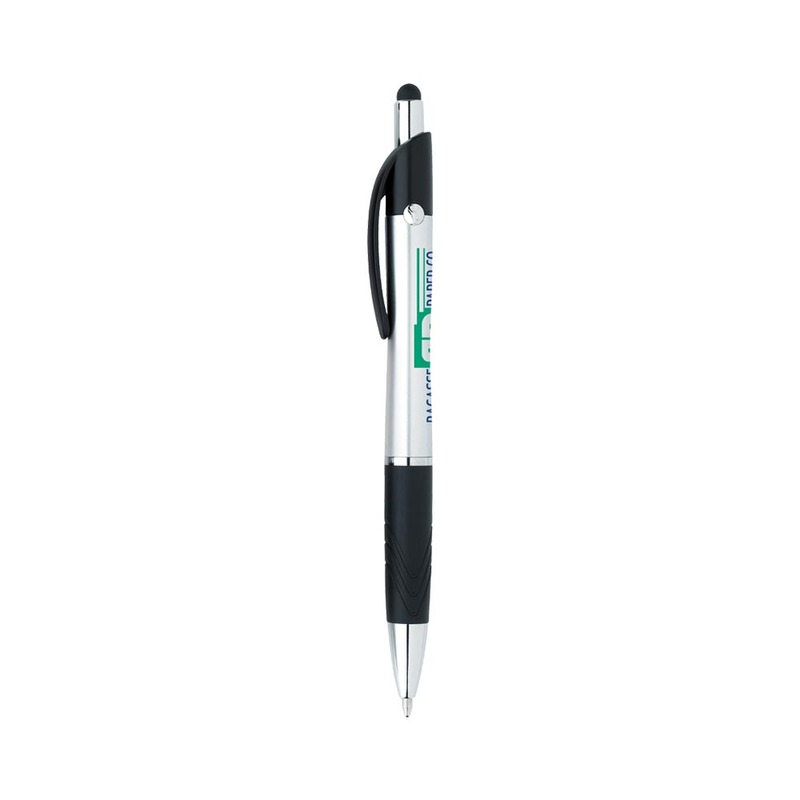 The Bic Emblem Stylus is the perfect pen to represent your organisation and make your promotion a hit. 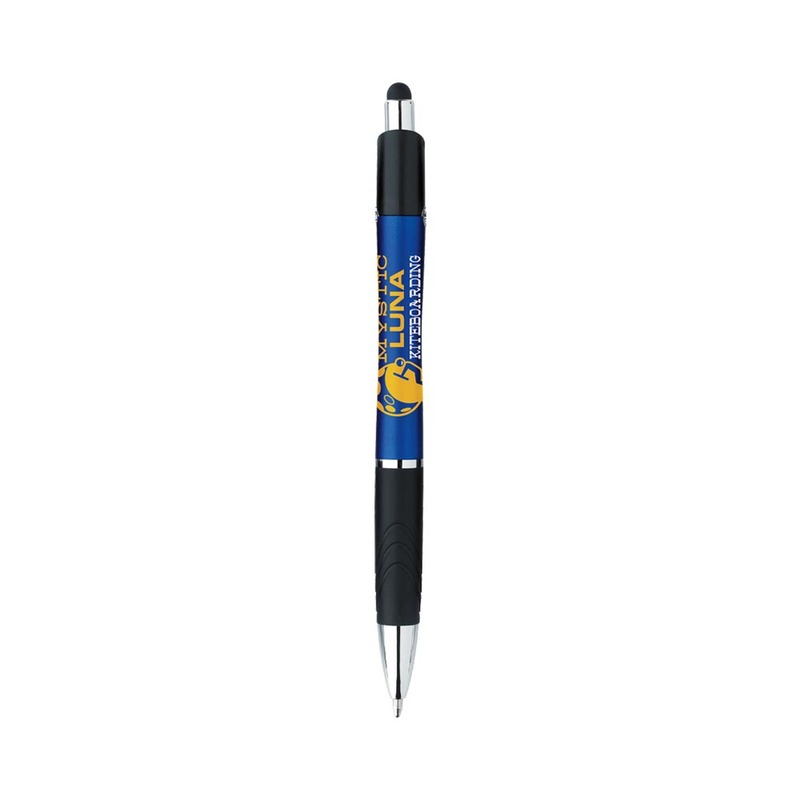 These pens feature a capacitive screen stylus as well as a metallic coloured contoured barrel with a comfortable rubber grip. 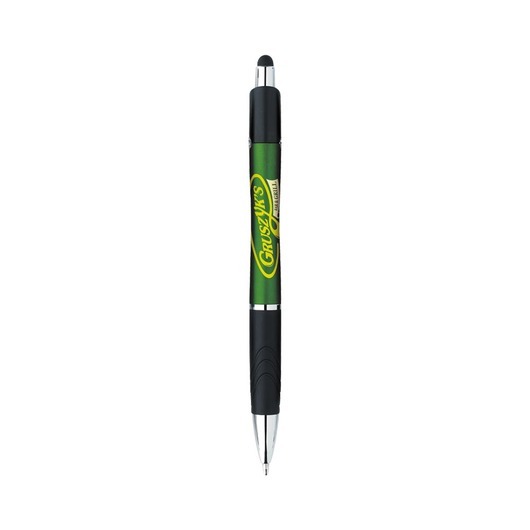 They also have classy chrome-plated accents and a Bic boy moulded into metal rivets on both sides of the barrel. 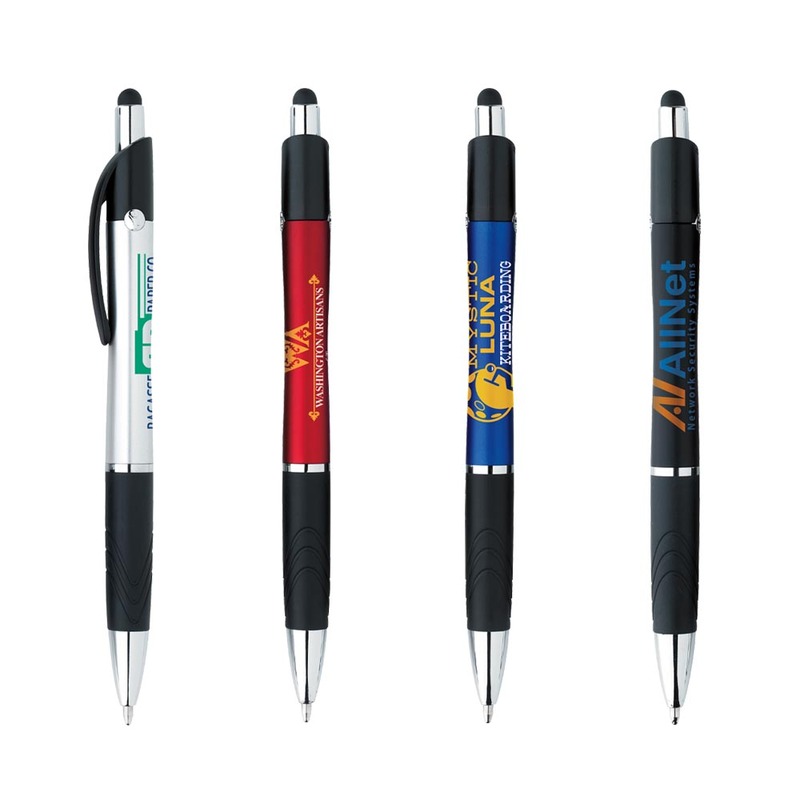 A great giveaway item that's suitable for all types of promotions and events.